Ok, so maybe your kiddos won’t actually thank you, but I promise they’ll have a lot more fun! Let’s face it, organizing can be a lot of work at the best of times. Our kid’s are busy little humans and there are so many other wonderful, fantastic, and enjoyable things they would rather be doing than organizing their stuff. I believe it’s really important to get your kiddos involved when you start tackling their spaces. After all, these spaces are special places for your kids, and though they may not agree, helping to organize and keep them tidy is something they should have a helping hand in. 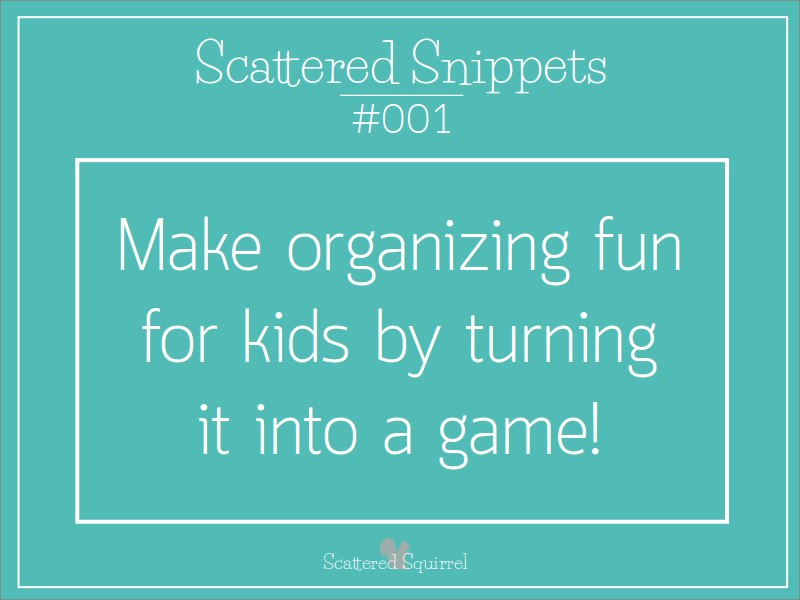 But it doesn’t have to be a chore if your turn organizing into a game, your kids will have a little fun while they work. Organizing is one of those life skills that is best learned by doing (like most skills in life) and kid’s learn best through play. Teaching them how to organize their spaces allows them to learn new skills and develop strong, healthy habits that will serve them throughout their whole life. There’s nothing that says you and the kids can’t have a little fun while you do it. Over the years I’ve employed this trick with both my boys, and some of my best memories are having fun while sorting their toys and cleaning their rooms. I developed a few tricks to help make these chores less chore like and more fun. Here are a few ideas to help you get started creating your own organizing fun. Laundry Toss: Place a hula hoop down the hall from their room, and see who can get the dirty laundry closest to the hoop. If you don’t have laundry, you could do the same thing with teddy bears or, if you have hardwood floors, with toys cars see who can roll the cars the closest. Yes, you still have to pick those items up, but they are out of your way for now, and some what organized. Garbage Basket Ball: When it comes time to sort toys we have a rule in our home, if it’s broken beyond repair, or is broken and not something they care about, it’s garbage. I use a garbage can when sorting, and we have fun tossing the garbage items into the bin like they are basket balls. I also tried this once with two bins, one for garbage and one for give away items, and we had a ton of fun. Just make sure the toys you’re tossing in the give away bin aren’t delicate. Who Can Sort the Most Items: Once we’ve decided what’s being kept we have a race to see who can sort the most items in 2 minutes. We just sort them into piles by category. Decide on the categories before you start. Set the time for two minutes and sort, sort, sort. You might be surprised how many items your kiddos can whip through when they’re racing. Add a little extra incentive like a prize at the end if you want too, but I’ve always found the fun is all that matters. Dump Truck: This was more fun when my boys were little, little… like two and three, but it’s still a great way to clean up quickly. Grab a handheld broom and clean dustpan. Have your kiddos use the broom to brush toys into the dustpan and then dump them in the bin, box or bag where they belong. This was a trick my Mom taught me to help clean up blocks and then the dreaded Lego, and it works like a charm. Quick clean up, easy for little and big kids alike. Beat the Clock and Win a Prize: This one was created as much for me as for the boys. I know I can easily get lost down memory lane when I’m working on an organizing project, and kids can get lost down I-forgot-I-had-This Ave, so to help keep us all on track I take a look at what needs to be done and set a time frame I think is appropriate. If we have to split the project up into a few different sessions, that’s fine. Rome was not built in a day, and most rooms aren’t organized in one either. Once I know how long I think we’ll take, I pick the prize. Usually this is something like milk and cookies, or extra round of Sorry, or something fun and/or sugar filled. Then we see if we can get it all finished before the timer goes off. This one doesn’t work so well for young kids, but older kids really get it. 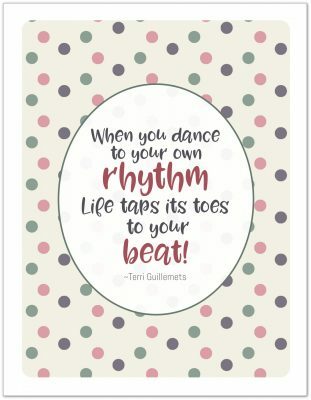 And as an added bonus, you’re teaching them some time management skills by showing that them that things don’t always take as long as we think, and balancing work and play. Maybe that job is too big to do in one day, you’re showing them that it is ok to break a bigger project into small chunks. So maybe they’re not super fun games, but any time you can take a chore and add a little fun to the mix, I think it helps keeps the kids interested. At the very least it makes it feels less boring and you might find your kiddos a little more engaged in the process. If you’re feel adventurous, ask your kiddos to come up with their own game. Give them some guidelines or parameters and see what their imagination comes up with. You might just be surprised. Scattered Snippets is a new take on an old series. Each week I’ll be sharing one quick tip for making life a little easier. I hope you enjoy! Do you have any tips for getting kids to help organize their own stuff? Do/Did you have games to make up clean up more fun? I’d love to hear from you. Thanks Jessica. They’ve been working great for me for years. It’s so much easier when the kids gets involved, especially when organizing their own stuff. I started with my oldest, and now a few times a year he goes through his stuff without any prodding from me. 🙂 I love it!